Vanner & Prest Neatsfoot compound from Carr, Day & Martin is a quick acting, deep penetrating, preservative that nourishes and re-hydrates dry, brittle leather. 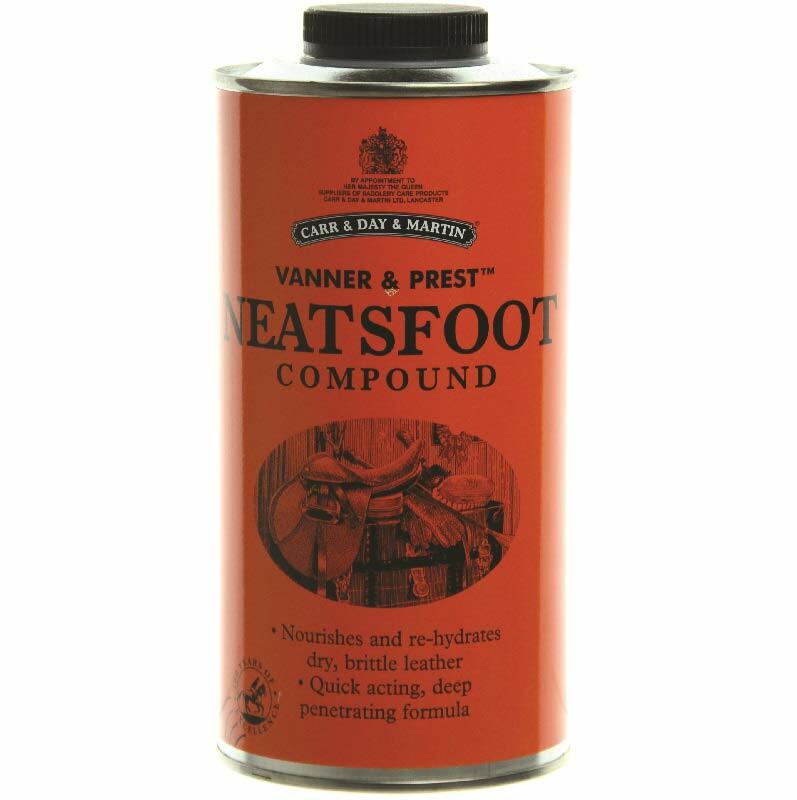 A finely blended preservative containing pure neatsfoot oil. Shake well, apply with a cloth or brush a thin layer to the underside of the leather and allow to penetrate for several hours. Can be re-applied if necessary but care must be taken not to over apply. Regular application prevents leather from becoming dry and brittle. Does not rot stitching. Apply sparingly and evenly with a soft brush or cloth. Do not use on suede leather.